A beautifully packaged cookbook and highly personal culinary and cultural journey through the diverse regions of Vietnam. Join Luke Nguyen on a culinary and cultural journey through the country of his heritage to discover the people and recipes that have endeared Vietnam to the millions of travelers who visit each year. Luke Nguyen's Vietnam follows his trip from northern Vietnam down to the south, through marketplaces and kitchens of strangers and family alike to find the best recipes Vietnam has to offer. Luke records his experiences with the people he meets and the places he visits along the way, breathing life into the classic recipes of Vietnam, from pho to banh mi and everything in between. Luke Nguyen's Vietnam is a culinary showcase of Vietnam filled with heartwarming stories, breathtaking location shots, and mouthwatering food photography—a must-have cookbook that will be treasured for years to come. Luke Nguyen is a well-renowned Vietnamese Australian chef, best known for his television series Luke Nguyen's Vietnam and Greater Mekong. His shows have aired throughout the world and can currently be seen on The Cooking Channel (US), The Food Network (US), UKTV, The Living Channel, and XYZ Entertainment Pty Ltd. Luke was raised in Australia in Sydney's vibrant and notorious Vietnamese quarter. 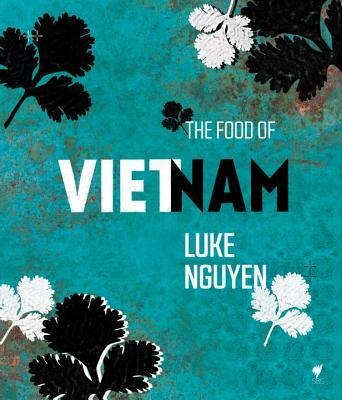 His parents opened and ran a local Vietnamese restaurant, and it was this passion for food that first ignited Luke's interest. After learning the basics from his parents, Luke trained with a number of well-respected Sydney chefs before opening The Red Lantern restaurant with his sister, Pauline. Since then, The Red Lantern has become one of Sydney's most acclaimed restaurants.